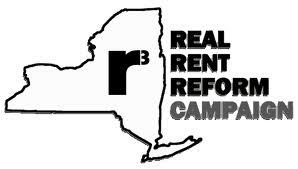 With rent regulation laws due to expire tomorrow, the Real Rent Reform Coalition is going to Albany and holding a rally at Governor Andrew Cuomo’s office on Wednesday, June 15. The bus to Albany will leave tomorrow at 10 a.m., from Broadway between West 95th and 96th Streets. The rally at Governor Cuomo’s Manhattan office, 633 Third Avenue, will take place tomorrow at 5 p.m.
For any questions or to reserve your spot on a bus to Albany, please contact Bennett Baumer at (212) 956-2585 (bbaummer@hcc-nyc.org) or Matt Klien at (212) 956-2573 (mklein@hcc-nyc.org).